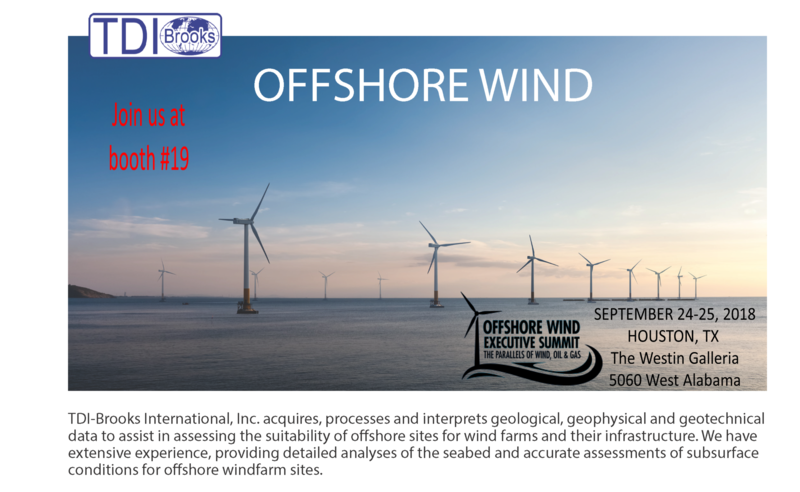 Plan to visit TDI-Brooks at the Offshore Wind Executive Summit taking place on September 24 – 25, 2018 in Houston, Texas at the Westin Galleria. Come visit us at Booth # 19. For further info visit HERE. • Geophysical and hydrographic surveys to ascertain seabed bathymetry, morphology, classification, marine habitats and sub-seabed layers.